Python is compiled language or interpreted language ? So you can code into python with ease (kudos to its simplicity). So next is to go deep and learn more about decorators, __add__ method, __get__ method, and more exciting stuff, that's great. But when somebody (most probably in interviews) ask you what exactly is python, compiled or interpreted language? You stuck for some time and explain them (or try to explain) with some heck of technical terms. With my personal experience, Yes! people do get stuck in this question even if they can code smoothly in python (I personally did). Therefore, I decided to sit and explore about it. With some understanding, I prefer simpler way to explain it to you. Confused with question? Then you should read this article. We are going to consider CPython for this time (or it doesn't matter to understand concept here). Python we refer commonly as language is Cpython(original and most-maintained implementation of Python) and 'Python' (as language reference) is considered to be merely a interface to implement different version of the Python. In rough sense its considered to be interface rather than language (What the heck). Yes TRUE, its merely an interface for language developers. The reference page for python specification tries to say what and how Python should behave, as we do with any interface implementation. And there are many implementation of the python, as with any interface implementations. That does not mean it doesn't qualify to be called 'language', but it clarifies that there are variety of python available to do same work which are based on the 'implementation' guidelines provided by the Python Language Reference. You may be aware of interface in Java or C#. As with interfaces, it gives you an abstraction about how particular functionality should work leaving implementation work for you (or for your class). In simple words it contains behavior that class will implement. Being interpreted or compiled is not relative terms to interface rather it is related to implementation. So considering Python, which is merely an interface cannot be compiled or interpreted. Rather, if you you ask, is Cpython compiled or interpreted ? We can say that its interpreted with some compilation (I know bit confusing but have patience for few more lines please). How your python code gets executed? The python code you write is compiled into python bytecode, which creates file with extension .pyc. If compiles, again question is, why not compiled language. Note that this isn't compilation in the traditional sense of the word. Typically, we’d say that compilation is taking a high-level language and converting it to machine code. But it is a compilation of sorts. Compiled in to intermediate code not into machine code (Hope you got it Now). Back to the execution process, your bytecode, present in pyc file, created in compilation step, is then executed by appropriate virtual machines, in our case, the CPython VM (actually we call it interpreter, right?). So for Cpython, we can say that its interpreted language. Aha, So that made to confuse you as Python is an "interpreted language"(which in term True for Cpython, a most famous implementation of python). So my pyc file contains cross platform code right?. Yes, your bytecode is cross platform but its version dependent ( python 2.x or 3.x). Is .pyc created every time I run code? Answer is No. Actually it depends on your modification in py file. The time-stamp (called as magic number) is used to validate whether .py file is changed or not, depending on that new pyc file is created. If pyc is of current code then it simply skips compilation step. Basically the way the programs are run is always the same. The compiled code is interpreted. The way the programs are loaded differs. If there is a current pyc file, this is taken as the compiled version, so no compile step has to be taken before running the command. Otherwise the py file is read, the compiler has to compile it (which takes a little time) but then the compiled version in memory is interpreted just the same way as always. Again Its all same for them also, all of them have a typical implementation strategy of producing bytecode first, then executing it via a VM/interpreter. Difference is only in VM they use. Jython use JVM where as Ironpython use CLR. Is there any python compiler? Now we are talking about compilers (according to above definition).You may have heard about PyPy it is JIT compiler for python code. 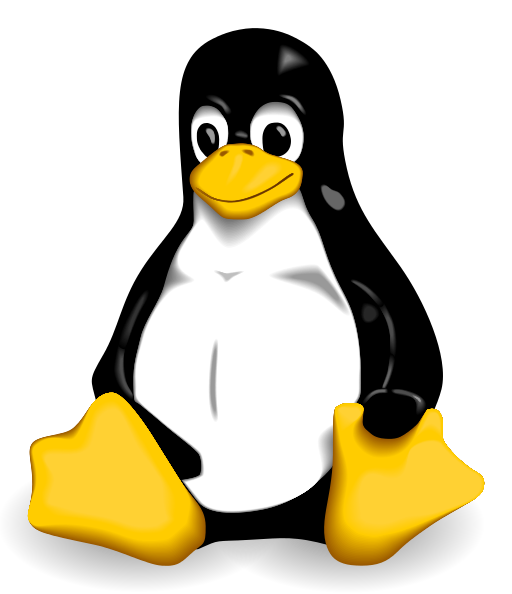 Nuitka, is one of the notable compilers. Nuitka attempts to translate pure Python not into bytecode, but into machine code (via C++ compiler), while using libpython at run time. Another one is ShedSkin. It compiles implicitly statically typed Python to C++, stand-alone programs or extension modules. Hence, perfect answer to the question, Python is compiled language or interpreted language ?, It totally depends upon which python is in consideration?, After that you can proceed with further explanation as per python in consideration (mostly answer is interpreter), and you can explain the process to clarify. I hope this article helped you. -a : Displays all the files including . & ..
drwxr-xr-x 20 mahesh mahesh  4096 Mar 24 00:00 .
drwxr-xr-x  3 root   root    4096 Mar  9 01:23 ..
-p : Creates parent directories if it does not exists. The above command will create a directory named "testdir"
touch [options] [pattern] : Updates the timestamp of a file, If the file does not exists by default options creates it. Creates "testfile.txt" if it does not exists, else it only updates timestamp of the "testfile.txt". shred [options] [file_pattern] : Enables to overwrite a file to hide its content, also allows to delete file data in secured manner. -r : Deletes directories and their contents recursively. Removes forcefully and recursively all the files in "testdir" as well as removes "testdir" directory. Above command renames the "old_name" file/directory to "new_name". tar [options] [tar_file] [pattern] : Creates, Extracts an archive. chown [options] [mode] [file_name] : Enables to change the ownership of a directory, file etc. -R : Recursively change ownership. chmod [options] [user] [file_name] : Enables to change the permission of a file, directory, etc.